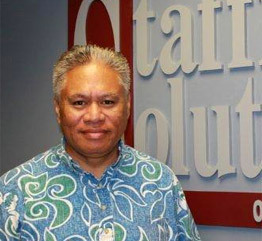 How do I sign up to work with Staffing Solutions of Hawaii? Our process begins with our online employment application. If your background and experience matches what one of our clients is seeking, one of our staffing recruiters will be in contact (typically within 3 business days). I have completed the online application, what is next? Our team will begin reviewing all online applications and resumes. Should your background match one of our job openings, you will be contacted. If your experience does not meet our current needs, it will be retained and kept for future consideration should an opportunity match your skill set and employment preference. Do I have to pay a fee for your service? No, Staffing Solutions of Hawaii does not charge a fee to be interviewed for our candidates seeking employment. I have applied to one of your ads but have not heard back, how do I follow up? Unfortunately due to a high volume of qualified candidates, it is impossible to contact every application. However, if your education and experience meets the needs of our client you will be contacted by a recruiter. Does Staffing Solutions of Hawaii provide health insurance? Yes, for qualifying employees our company does provide health insurance. I will be relocating to Oahu in a few months, can I be considered for employment before I move? Due to the high volume of local qualified candidates available for our immediate job openings, we recommend you contacting our agency once you arrive on the island. My four and a half years of temping for SSOH was great! Their friendly and professional staff kept me working full-time. When I finally decided to find a permanent job, SSOH found me a fantastic job with a growing small business in which I couldn’t be any happier. Mahalo SSOH!